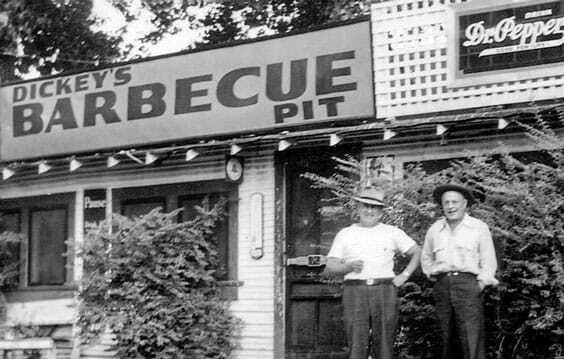 Dickey’s Barbecue, with its signature original sauce and slow hickory smoking technique, has been a Texas favorite since the early 1940s. With recipes that have stood the test of time, what used to be a regional favorite is now spreading nationwide. Dickey’s Barbecue Pit opened last month in Castle Rock and has been smoking meat on site for a public eager to enjoy brisket, pulled pork, ham, sausage, ribs and other tasty delights. Barbecue done well is a crowd pleaser; it’s relatively easy to transport and appeals to a wide variety of palates, which makes it a natural choice for parties and celebrations large and small. It’s apparent that the staff at Dickey’s is passionate about the food they prepare. On a recent visit, they were happy to make recommendations, and had my food in my hands in no time at all. The chicken sandwich they recommended was moist, tender and juicy. The onion tanglers (a close cousin to an onion ring) were crispy and tasty, and the potato casserole with cheese, bacon and chives was a decadent treat. For dessert I had vanilla ice cream, which is complimentary to all guests at Dickey’s. In addition to meat plates, sandwiches and a variety of side dishes liked baked beans, cole slaw and fried okra, Dickey’s also offers loaded baked potatoes and hearty salads. The kids menu features regular menu items as well as chicken nuggets. Kids eat for free every Sunday. Dickey’s Barbecue Pit is open from 11 a.m. until 9 p.m. seven days a week and is located at 323 Metzler Drive in Castle Rock. For more information, visit www.dickeys.com. 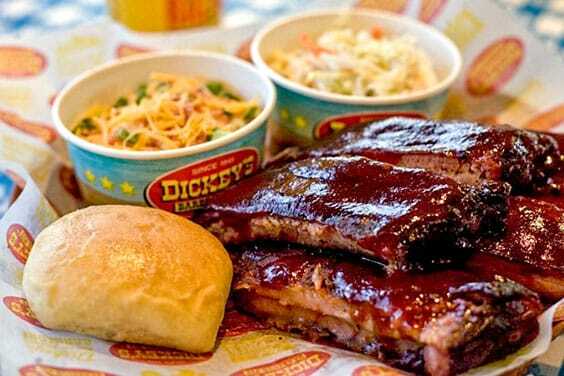 Ribs are a favorite at Dickey’s Barbecue Pit, along with brisket, chicken and pulled pork. Sides like cole slaw and baked potato casserole are house favorites. 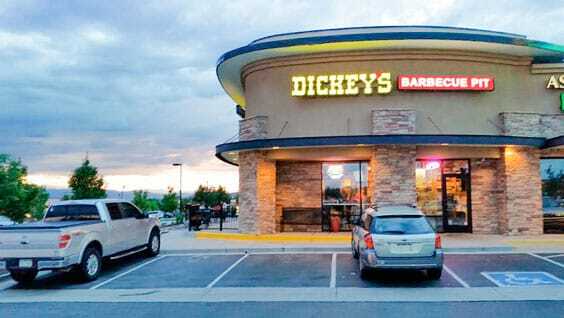 What used to be Texas regional cuisine is now available just a few minutes from home; Dickey’s is open in Castle Rock.